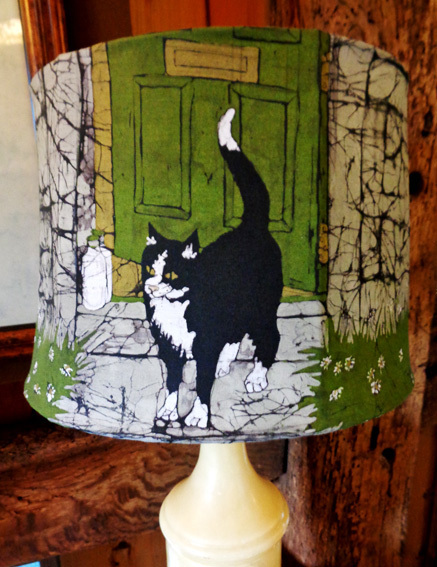 This lampshade design was adapted from one of my best-selling greetings cards. It shows the colour work which is so much part of the Batik process. The green for the grass was achieved by putting bright blue on top of the yellow used for the light inside the house and the brass letterbox.